Filters pathogens, contaminants, chemicals and heavy metals. Can be used with ANY fresh water source – such as tap, well, river, stream, lake, etc. The STANDARD 25 oz. 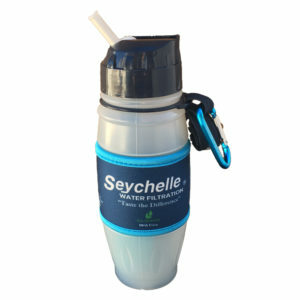 Stainless Steel Water Filter Bottle removes pathogens, contaminants, chemicals and heavy metals. Completely filters drinking water equivalent to 757 regular water bottles and can be used with virtually any outdoor fresh water source. The STANDARD 25oz. Stainless Steel Water Filter Bottle is a step up from the REGULAR 25oz Stainless Steel Water Bottle in that it also filters pathogens such as Cryptosporidium and Giardia AND can be used with ANY fresh water source – such as tap, well, river, stream, lake, etc. (The REGULAR SS bottle must be used with municipal tap water only). This bottle cannot be used with brackish, turbid, stagnant or salt-water which may clog the filter (brackish water has more salinity than fresh water, but not as much as seawater – normally river or estuaries that are near seawater). 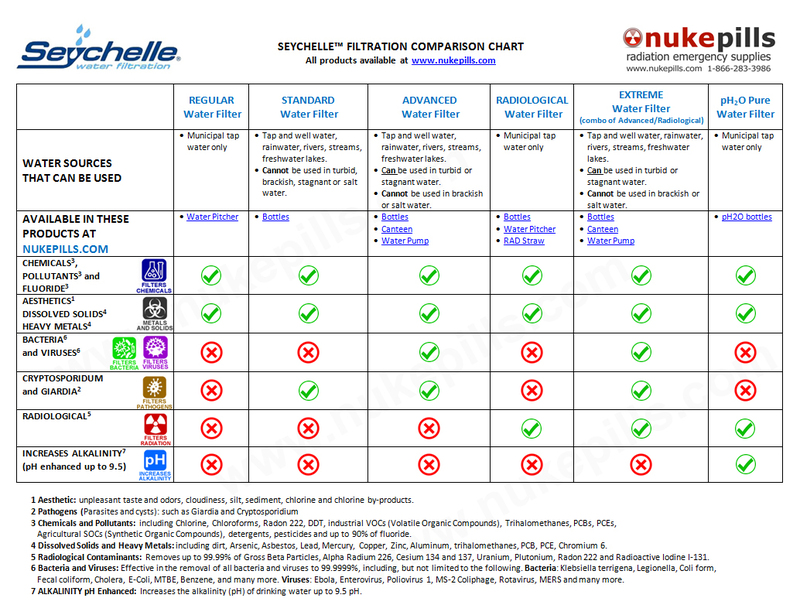 Be the first to review “Seychelle™ STANDARD 25 oz. Stainless Steel Water Bottle filters pathogens, chemicals and pollutants” Click here to cancel reply.